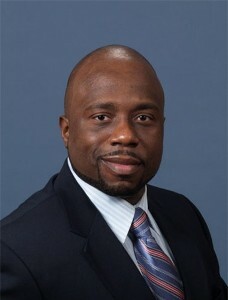 Dr. Marc A. Bertrand is the Founder and Managing Director at The Bertrand Education Group, LLC. Considered a content expert and also a proven cross-sector leader within the nonprofit industry that includes education programs, financial services and biotechnology, that originated from his Co-authored Publication that sold out on Amazon.com; "Effects of the Total Quality Management Operational System...". Dr. Bertrand's portfolio has included some start-up companies through Angel Investments to notable pharmaceutical entities (i.e., Ariad, Clovis Oncology, Arrowhead, etc). He has reinvested his net proceeds by supporting philanthropic initiatives in conjunction with Fortune 500 Companies to support humanitarian, education, professional coaching and health-related efforts (Room to Read, Youth Career Initiative, Breast Cancer Sponsorships) to ensure helping people globally as featured in an exclusive publication. Moreover, his distinguished work within academia, previously influenced the National Association of Social Workers (NASW) to extend an invitation (see invite) as their Consulting Editor for "Children and Schools" Journal. Hence, Dr. Bertrand being selected by St. John's University to teach a graduate level course in New York's business district to professionals seeking to explore opportunities and challenges to promote culturally relevant learning and to foster social and cultural justice for students, families and their communities. The former earned Dr. Bertrand "a feature" in the Business Journal given his inspirational story. Dr. Bertrand has 20 years integrated experience that includes teaching K-12 from 1997 until 2002 and serving in executive leadership capacities with a previous oversight of a $58 million dollar budget, he has a keen understanding of learning and personnel development as it relates to effective organizational reform (optimum scaling). Dr. Bertrand previously transcended a diverse group of disadvantaged and non-traditional students to one of the most elite unit of critical thinkers and problem solvers at the prominent educational agency, Nassau BOCES Foundation. The former was based on a three-year looping experiment collaborated with his former supervisor and colleague, Dr. Sharon Banks-Williams (via Columbia University) at the Yonkers Public Schools. Given the prelude, Dr. Bertrand takes a similar strategic leadership approach with various organizations by providing them with the tools to becoming successful at multiple levels over time. His focus includes social impact investing and funding cultivation, behavior and organizational management through active leadership clients serviced, clinical and educational support. Dr. Bertrand is also certified in New York, New Jersey and Connecticut; serves on the Board at the Global Nonprofit, Building Community Bridges, Inc. and selected to blog at Forbes. Dr. Jennifer Neuhof, a licensed clinical and certified K-12 school psychologist, is the Founder and Managing Consultant at the Center for Student Behavioral Health. Her multidisciplinary firm is B.E.G’s strategic partner that provides leadership and consultation to school professionals in matters of student behavioral health and risk management. With 18 years of experience in the fields of psychology and education, Dr. Neuhof and/or CSBH consultants provide training, supervision and emergency case consultation to psychologists, psychiatrists, doctoral students and administrators. She served as Director of Fordham University’s multi-campus Counseling and Psychological Services, where she had previously worked as the Assistant Director and Crisis Specialist, Training Director and Outreach and Prevention Specialist. During her tenure at Fordham, Dr. Neuhof led the transformation of the counseling center to a standards-based practice in a climate of record utilization and increasingly acute student needs. 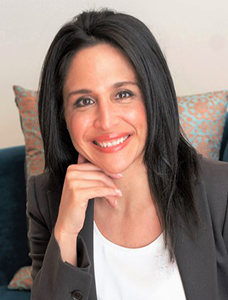 In addition, Dr. Neuhof serves as supervisor at Long Island University’s Clinical Psychology Doctoral Program and maintains a psychotherapy practice in New York City. 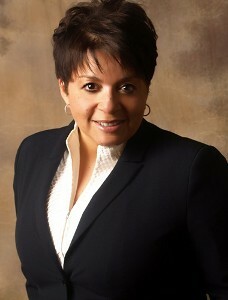 Linda M. Suarez, Ed.D. is a visionary administrator with proven leadership abilities, and has acquired over 20 years of professional experience working in New York urban and suburban schools. A New York native, she earned a Bachelor’s of Science in Education from New York Institute of Technology, a Master’s of Science from C.W. Post/L.I.U., and a Doctorate in Education Leadership and Policy from Fordham University. Her vast professional experiences include supervision of Career and Technical Education, an Alternative High School and Special Education programs. Dr. Suarez is an accomplished administrator that has conducted several school quality reviews for the New York State Education Department. She continues to work collaboratively with district schools to assist in the design and implementation of college and career readiness programs. Dr. Suarez’s passion to understand the implications of technology on school organizations, teachers and administrators supported her recently published study; Influence of Technology on 21st Century Career and Technical Education Administrators and believes that technology should enhance instruction and provide educators the support needed to address the new mandated National education reforms. She provides targeted 21st Century professional development in Technology supported Curriculum and Instruction; School Organization Technology Planning; and Education Leadership that will support the millennial learner. Dr. Marlving P. Charlet has a Master of Divinity in religious education, Doctor of Ministry Degree in Leadership and Preaching/Communication, and is now a candidate for the Master of Social Work (MSW) in Clinical Practice concentrating on Children, Youths and Families. He ministers to a diverse congregation in the Northeastern United States. Dr. Charlet’s doctoral thesis focused on “Implementing a 21st Century Stewardship Ministry: Equipping and Empowering Lay Leaders for Effective Ministry.” The preceding study enabled him to develop leaders of tomorrow. With 21 years of leadership experience, Dr. Charlet continues to be passionate about mentoring leaders, which includes counseling to churches, youth group homes and high schools. 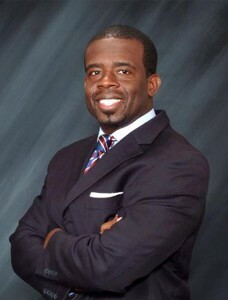 He has served the Abundant Life Agency Incorporated Board of Directors and other community groups in New York that is organized to address educational, health care, and justice disparities within the community. Dr. Charlet also served as President and Chairman of the Brook Club Condominium Association providing leadership to its board and stakeholders. He is consistently invited to speak throughout New York, as well as nationally and internationally specializing in leadership, youth and family empowerment, theology, spirituality and social issues.